The tyres on your car are like the shoes on your feet. You wouldn’t go for a run in shoes that were run-down and poor quality, because that would put you in harm’s way. It’s much the same with tyres, whether you’re using premium tyres like Bridgestone, or budget tyres. Keeping them in good condition is essential for making sure your vehicle (and all the people in it) stay safe on the roads. Tyres are the only thing between the car and the tarmac, affecting many aspects of the vehicle as a result. 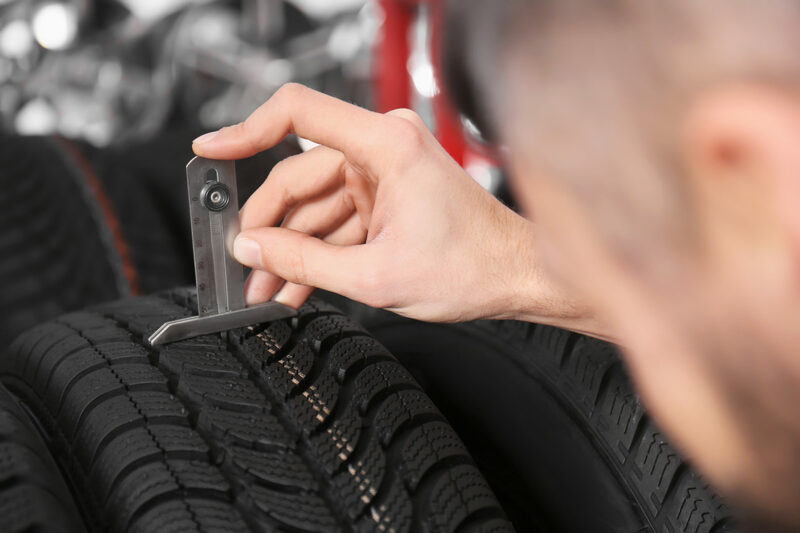 Therefore, tyre maintenance is one of the most important parts of general car maintenance. Plus, it is illegal to drive with tyres that aren’t roadworthy, so with all that said, there are ways in which you can make sure your tyres are always roadworthy and even prolong their shelf life. With harsher weather sure to hit the UK in the coming months, there is no better time to read our eight expert tips for maintaining your car tyres. To keep your tyres well-maintained, it is vital to check your tyre tread depth to make sure it is not lower than the legal limit and is high enough to perform well in all kinds of weather. Why is it so important? If you’re unsure why, tread depth helps to remove water between the tyre and the road, ensuring the tyres are gripping the road and keeping the car under control in wet conditions. Good tread depth also helps prevent the risk of aquaplaning and the lower the tread depth, the less water can be dispersed. Even if your tyres are above the legal limit, that doesn’t necessarily mean they are safe. Emergency braking at 70mph in wet conditions on tyres of the legal limit (1.6mm) compared to a tread depth of 3mm, can take approximately 11 car lengths to stop. This goes to show just how important checking your tread depth is to tyre maintenance. Your tyre pressure is another essential element of tyre maintenance. If your tyres are underinflated, there is a multitude of problems that can occur as a result. This includes overheating, aquaplaning and being more susceptible to wear and tear. If your tyres are overinflated, it reduces the surface area of the tyre in contact with the road, which in turn, reduces grip. Overinflated tyres also make for a pretty uncomfortable drive. Low-pressure tyres also increase fuel consumption. So, checking that your tyres are properly inflated will protect them from damage and reduce the risk of the car spiralling out of your control. Remember, it is the air within the tyres that carry the load, not the actual tyres. To maintain your tyre’s pressure, check them when they are cold, against the recommended tyre pressure which you will find in the user manual or the label. Tyre rotation simply means moving your tyre’s position on the vehicle to ensure that they wear more evenly. However, there are many tyre manufacturers that do not recommend this anymore. Today, most manufacturers recommend that you fit the tyres with the highest tread depth to the rear of the vehicle, because understeer on the front of the vehicle is easier to control than oversteer on the back of the vehicle. This is irrespective of whether the vehicle is front or rear-wheel drive. Not adopting this recommendation can result in severe oversteer/skid risk, which is another reason why checking the tread depth of your tyres is so important for maintenance, alongside making sure your tyres are in the correct position on your vehicle. Wheel alignment is basically the process of aligning the wheels and axles to the correct position. It increases safety and protects the tyres against extra wear and tear by making sure that the car is handling at the optimum level. Your vehicle relies on the precision of your wheel alignment to function as safely as it can, and misalignment can occur from things like poor driving and difficult road conditions. There are a few ways you will be able to tell whether your wheels are aligned, such as the vehicle pulling to the left or the right, squealing tyres or your steering wheel not being straight. Wheel alignment is best performed by a technician, to ensure a professional job is done. If you’re keeping spare or old tyres safe for use on your vehicle another time, it is essential that you handle and store them correctly to keep them well-maintained. To keep your tyres in a good condition while in storage, you should try not to stack them for long periods of time or put heavy objects on top of them. This can deflate the tyres or cause them further damage. Also, it is very important to keep them away from heat sources or flames. You should store them in a well-ventilated, dry area with reasonable temperatures and away from direct sunlight and precipitation. It is also essential that tyres are stored away from hazardous chemicals and any sharp object that could potentially puncture the tyre. Another aspect of keeping your tyres maintained is making sure that your tyres are appropriate for the time of year. 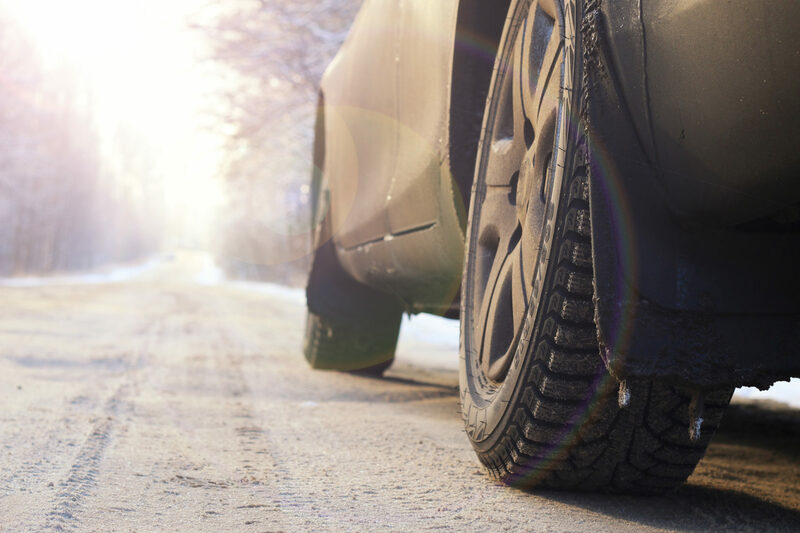 Here at Asda Tyres, we offer a full range of tyres suitable for many purposes, but winter tyres are specially designed for coping in the cold, harsher weather. Winter tyres are designed with a soft compound, deep grooves and narrow cuts which offer the optimum traction and grip in the cold weather, reducing your stopping distance. They disperse water and snow extremely well, compared to summer or all-season tyres, making them safer as the winter weather draws in. So, if you want your tyres to be maintained appropriately we would advise investing in a solid set of winter tyres so that your car is safer throughout winter. You can always switch them out following the winter weather if the tread depth is still good. Bridgestone has a range of winter tyres for you to explore, best sellers include the Blizzak LM001, Blizzak LM32, Blizzak W810 and the Cargo Ultra Grip 2. Improving your driving style can help extend the shelf life of your tyres. Poor driving style can cause extra strain on your tyres, meaning that they will deteriorate more quickly. Techniques such as harsh acceleration, harsh braking and abrupt cornering should be avoided as much as possible because they really can take a toll on your tyres over a prolonged period of time. One of the more obvious tips for tyre maintenance is that if you think your tyres need replacing, they probably do. When it comes to driving, it is always better to be safe than sorry and making sure your tyres are in great condition is so important for safety. 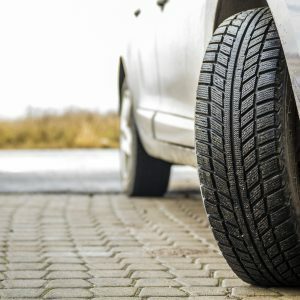 As mentioned earlier, your tyres are the only thing connecting the vehicle to the road, so you shouldn’t be cutting any corners, figuratively or literally. If you need replacement tyres, be sure to explore the range available at Asda Tyres, who are committed to keeping drivers as safe as possible, which we believe begins with your tyres.